There is no doubt he is an enigma, a man who quite possibly has had the greatest influence on the English language, and yet, strangely enough left very little personal correspondence behind. It does seem like a man so gifted with words would have left behind mounds of letters, diaries, and journals. If they did exist, they are long gone, burned, or buried, or wrapped around a fish for a servant girl, or used to make bindings for books. It is interesting to think of a Shakespeare letter bound up in a book that is valued at a fraction of what his handwriting, hidden in the binding, would be worth. It is as if Shakespeare erased himself, leaving only his monumental plays behind. He married young, too young, to a much older woman. It was not a happy marriage from what we know. Much has been made of him leaving her the second best bed in his will. He had three children: Susanna, Hamnet, and Judith. The later two were twins. Hamnet died at eleven. Hamnet = Hamlet, quite possibly that play is the greatest ode ever written to a lost son. 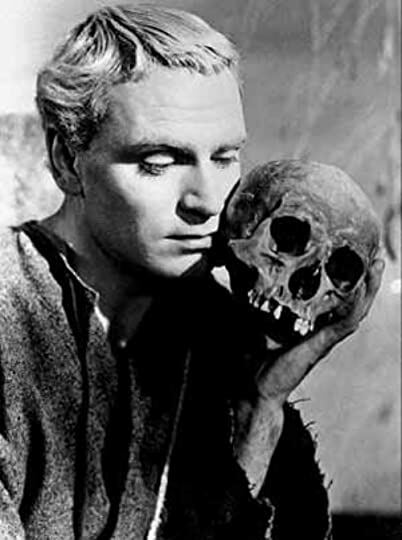 Like all of the various aspects of life that Shakespeare observed or experienced, even the untimely and devastating death of his son, all of it, every scrap of it, contributed and influenced the stories the bard decided to tell. Would Hamnet have grown up to be as tortured as Hamlet? I can only imagine the frustration that he must have felt being trapped in a marriage with a woman who could not even read the words he wrote. He left his family in Stratford while he went to London to be an actor. Some things can not be denied, and words must have been bubbling up in him like an overheated cauldron. 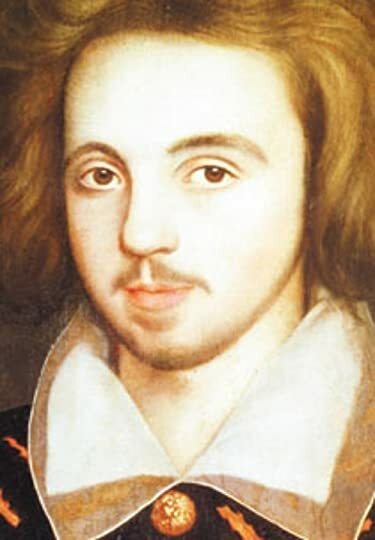 Christopher Marlowe was born in the same year as Shakespeare. He was college educated, though his degree seems to have been obtained with some help from Sir Francis Walsingham. He had everything that Shakespeare wanted, an education, debonair good looks, and a genius for playwriting. As it turned out, Shakespeare had the most important one of the three. I do wonder what would have happened if Marlowe had lived another ten to twenty years. Would Shakespeare have become Shakespeare? Would he have conceded the field to Marlowe? Would the competition have made him an even better playwright? I have to believe it was lucky for Shakespeare that Marlowe exited life at the tender age of 29. I certainly wouldn’t like to take a chance with an alternative history. Robert Greene, a fellow scribbler, called Shakespeare the ”upstart crow” which gives us an idea of an ambitious young man shouldering his way to the top. He took off like a bolt of lightning writing plays that had his competitors dumbfounded, and had his audiences awestruck. 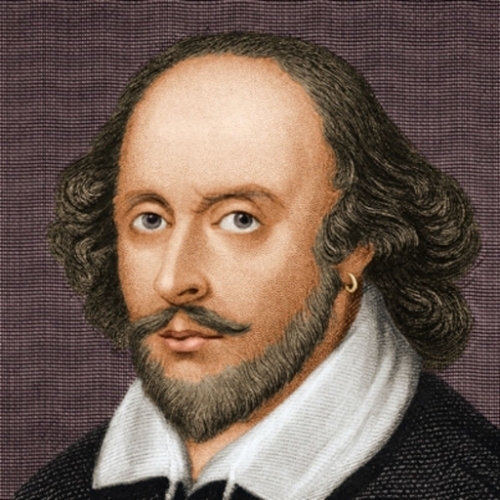 Stephen Greenblatt did not directly talk about the speculation that has swirled around Shakespeare for several hundred years, but the entire book could be considered an attempt to refutiate any thoughts that Shakespeare was merely a beard for someone else. 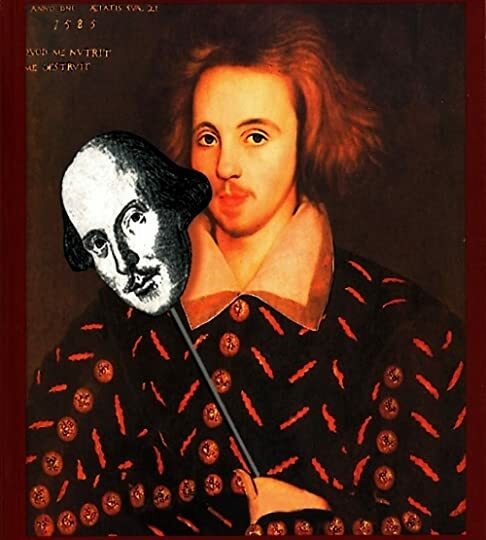 Societies to support one or another claimant have been created by people who are positive that Francis Bacon, Christopher Marlowe, or Edward de Vere, 17th Earl of Oxford were the true authors of Shakespeare’s plays. Marlowe was a trickster, a spy, a counterfeiter, but it would still be quite the clever prank to become Shakespeare with a dagger protruding from his eye. All three of the leading candidates to be “the true Shakespeare” are brilliant, fascinating men in their own right. They are famous without being Shakespeare. The odor lingering in the air like the dog fart smell that comes from that fat, slobbering pug at Grandmother’s house is the stench of people who can’t believe that an undereducated lad from Stratford could write these plays. He has been weighed, and measured, and found wanting. They are of course forgetting about one thing. "the world knew of his genius"
Okay, I’m going to name the white elephant in the room. HE WAS A GENIUS. Maybe he didn’t have the most perfect credentials to become SHAKESPEARE, but he had the right brain. He remembered everything he saw and heard and he was able to bring it all together and use it to make his stories more than what anyone had ever experienced before. They were authentic, personal, and incorporated new concepts that made the audience feel like they knew the characters in the same way they knew the pretty girl next door or their own grandfather or the smiling butcher down the street. He placed his audience in the plays.He changed the world and with every new generation he continues to influence, teach, and elevate. He left his family because “there was something important within him”. What a tragedy it would have been if he had stayed in Stratford due to familial obligations. He might have been a glover like his father. He might have lived on the verge of bankruptcy his whole life like his father. He might have strangled his wife and hanged. :-) He would have been a miserable, unfulfilled man nagged by a voice, a muse unused, who would whisper words of encouragement until the bitter end. Unlike his generation of writers he was frugal with his money in London and invested wisely in real estate. I too dabble in real estate so I always find it fascinating to read about his purchases and the sometimes convoluted ways the mortgage notes are written. 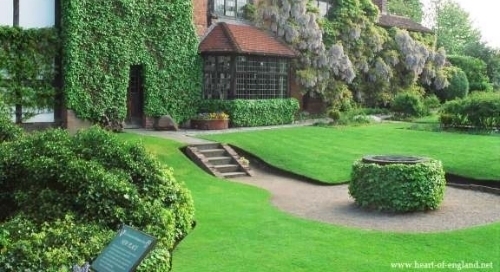 He bought his dream home in Stratford, a house called New Place with room for an expansive garden and a guest cottage. He died in 1616 only a few years after retiring completely from the stage. It was as if he’d strayed too far from what had always sustained him. Though there is too little known about Shakespeare, Stephen Greenblatt has written a very readable evaluation that examines what we know about the man, and what we know about the times. Greenblatt convinced me that the clues to knowing Shakespeare are all there to be found coming from the lips of his greatest characters.